Come and try this exciting modality and get a kick out of it! Our activity is mainly focused on organizing birthday and stag & hen parties, not only on competition but specially to provide great moments of fun to the participants. Paintball is great fun for the kids too with our markers especially designed for children. It is safe since we instruct and supervise the games. This is the effect a game of paintball has on people. All smiles! We can organize paintball games for large groups, kids or grown-ups, everyone will get a blast! 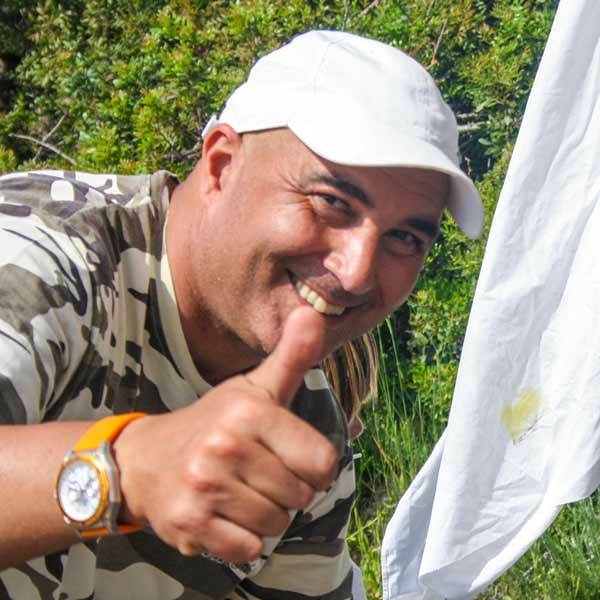 With thousands of players who have enjoyed playing paintball games with us over the past 12 years, we’re definitely are the ones to go to if you’re looking for a safe, very well equipped and guaranteed fun place to play a game of Paintball within friends or family during your stay in Albufeira. With years of experience in organizing paintball games for birthday parties we're truly are the best at providing an unforgettable event for children or adult celebrating their birthday. As a bonus, we offer photo and video service for free with all groups, so you’ll be sure to enjoy your paintball game while we take some pictures and video to be shared on social media. Whether for competition or just fun, Crazy Paintball team is here to make sure you are having the best time safely between friends or family. As for birthdays, we specialize in providing paintball games for groups looking for a great time amongst friends. Playing paintball is surely a great way to have fun during your Stag Do or Hen party. Our main paintball field is found in Club Albufeira and offers a large area with natural obstacles. We can also offer a smaller field set in the middle of town at the end of the Strip (Oura). Different types of paintball games can be played. We will adapt the area and rules according to the group number, ages and motivation. Choose a pack and book your next paintball game. We have packs suited to most situations but we're available to adapt to your group requirements.